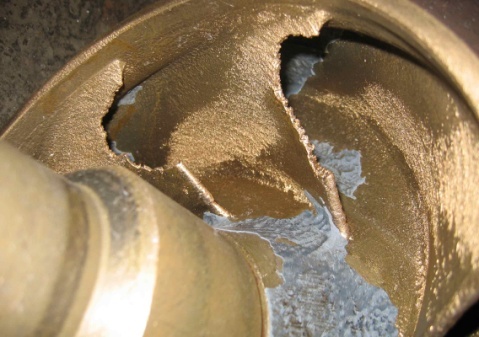 One of the more serious causes of pump failure is cavitation, CPM see the symptoms of cavitation on a regular basis and through their regular technical updates hope to ensure that engineers are more aware of the symptoms. 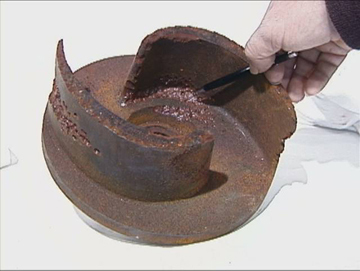 We are sure that everyone has seen the resultant damage from Cavitation and CPM often advise on the effects of cavitation and how best to address this and prevent inefficiency when examining the failures to pumps. So, what is Pump Cavitation? The best explanation we heard of Pump cavitation was the formation and subsequent collapse or implosion of vapour bubbles (REF.1) in a pump. This occurs when the absolute pressure on the liquid falls below the liquid’s vapour pressure. 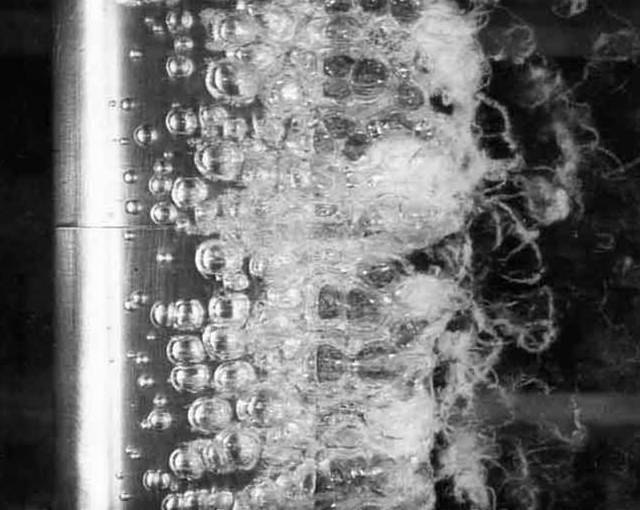 When the vapour bubbles collapse with high enough frequency, it sounds like marbles and rocks are moving through the pump. If the vapour bubbles collapse with high enough energy, they can remove metal from the internal casing wall, and leave indent marks appearing like blows from a large ball pein hammer. Getting more technical it is the inadequate NPSH (net positive suction head) available (NPSHa) which is a root cause for cavitation in the pump. Insufficient NPSH leads to lower liquid pressure in the pump and if pressure in the eye of the impeller falls below the vapour pressure of the fluid, then cavitation can begin by formation of vapour bubbles. What are the symptoms and effects of cavitation on the pump? 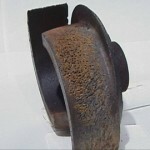 The main symptoms of cavitations are noise and vibration. This can be monitored by regular scheduling and analysis of the noise and vibration conditions using such non-invasive methods such as vibration analysis and ultrasound technologies. CPM’s advice is to make this part of your regular PPM’s as often as you feel necessary. CPM use these technologies as part of their Asset Management Programmes or on an ‘Ad hoc’ basis as part of a fault finding investigation. The results are very accurate. 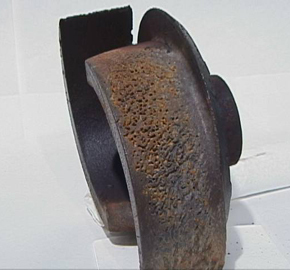 Problems with impellers, casings, and wear bands. 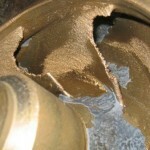 These problems will only exacerbate the inevitable failure of your pumps until you resolve cavitation at its source. 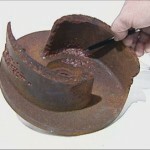 Vaporization cavitation, also called inadequate NPSHa cavitation. CPM’s comprehensive asset management programmes, have been developed with the aim of reducing your costs by preventing failures. They use advanced Condition Based Monitoring techniques, predictive and preventative maintenance technologies as in their ‘Repair, Replace, Manage Maintain’ culture, but in a comprehensive ‘joined up’ programme. Computerised diagnostics and asset management expertise stop failures. The objectives of these programmes are to divert the costs away from repairs to proactive maintenance activities. CPM’s ‘Manage’ services are the next step from their ‘Maintain’ services; it not only analyses what needs doing accurately but also what corrective action is required to avoid a reoccurrence. For further information on these services please follow this link.